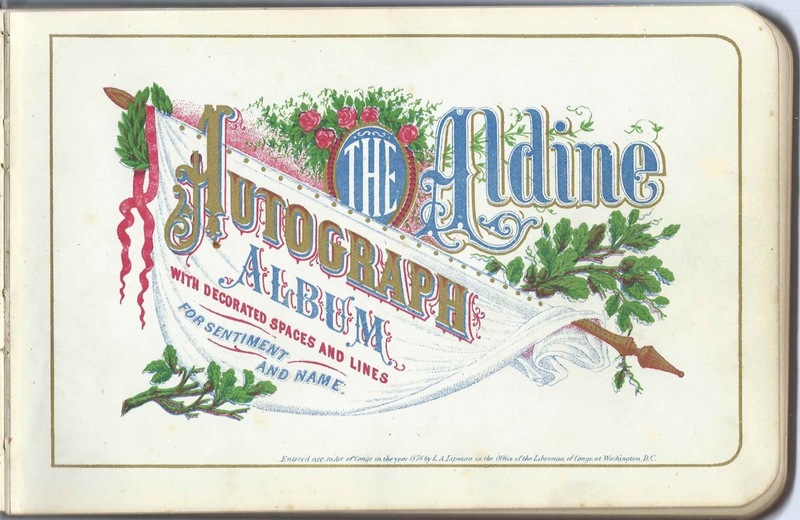 1887-1891 autograph album that belonged to a Wilmer, presumably from the West Lebanon, Maine, area, where most of the inscribers resided. He may have been Wilmer Wentworth Hayes. 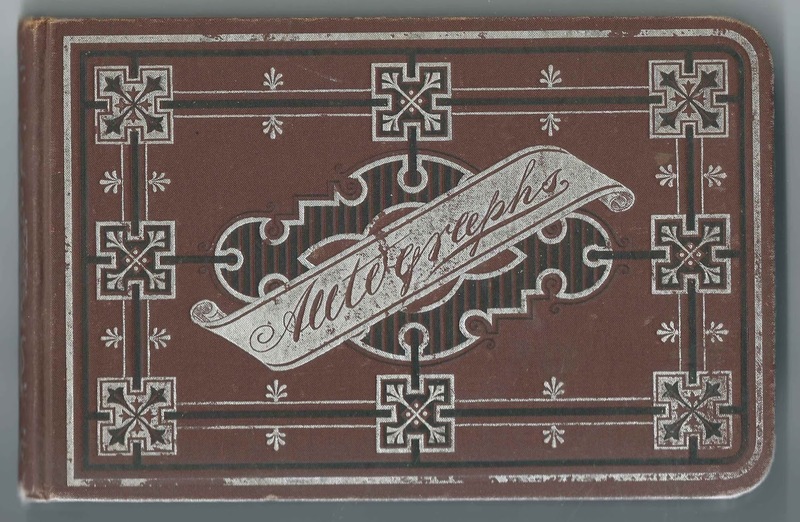 The album measures approximately 8" x 5" and contains the sentiments of 32 of Wilmer's friends. An alphabetical surname list and an alphabetical list of the inscribers, together with any personal information they offered, appear at the end of this post. Wilmer Wentworth Hayes was born September 9, 1871 at Lebanon, Maine, the son of Samuel Demeritt Hayes and Martha (LeGro) Hayes. On January 12, 1903, Wilmer married Mary Ellen Bradley, daughter, I believe, of Daniel and Margaret Bradley. Wilmer and Mary Ellen had a daughter, Vera Elinor Hayes, born in 1905. They lived at Lebanon, Maine, and then Rochester, New Hampshire. Wilmer died at Concord, New Hampshire, in 1955. Two people with the surname Wentworth inscribed pages in the album. 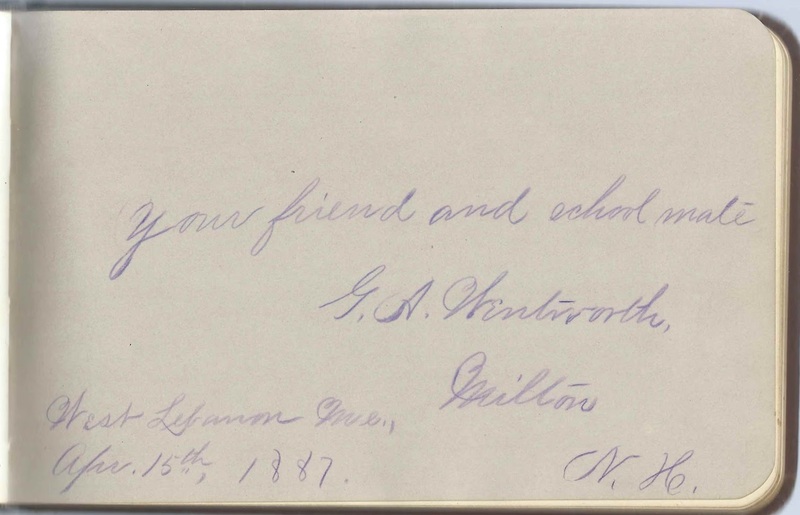 G. A. Wentworth of Milton, New Hampshire, inscribed a page at West Lebanon, Maine, on April 15, 1887. 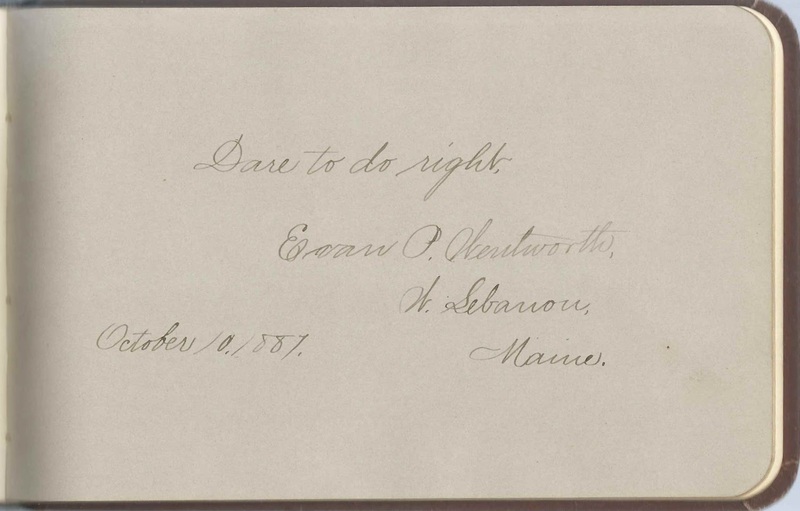 Evan P. Wentworth of Lebanon, Maine, inscribed a page on October 10, 1887. If you have corrections and/or additions on the information about Wilmer Wentworth Hayes, if you think the owner may have been another person or if you have information on any of the inscribers listed below, please leave a comment. S. J. Lothrop, signed at West Lebanon, Maine, on "2-1-1887"